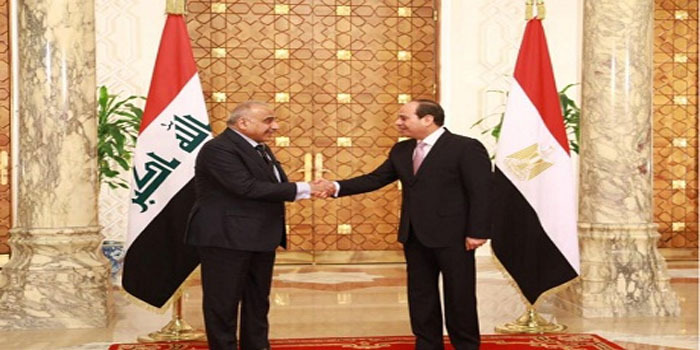 Egypt’s President Abdel-Fattah El-Sisi met on Saturday with Iraqi Prime Minister Adel Abdul Mahdi in Cairo, according to a statement by El-Sisi’s spokesman Bassam Rady. The pair discussed means to combat terrorism as well as other matters of mutual concerns to deepen relations between the two countries. They are expected to talk to the media following their bilateral talks.